Mark & Kristin's Engagement Session. Good evening everyone. 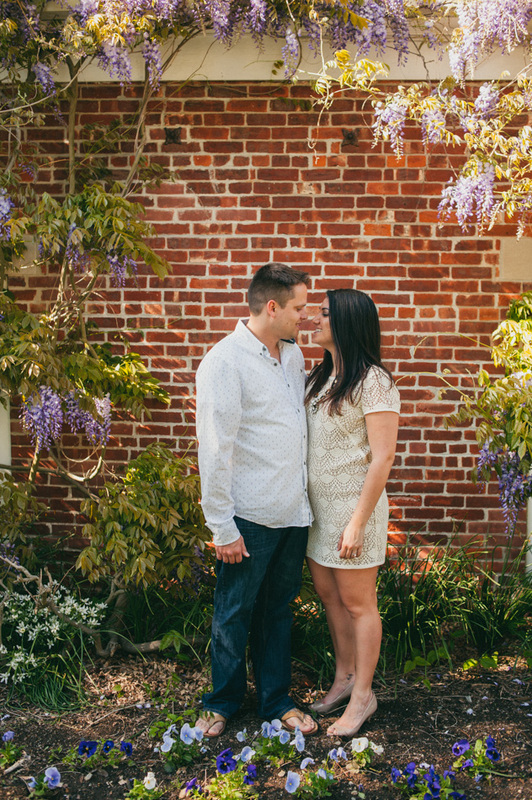 I am happy to bring you my first engagement session of the 2014 season! It certainly took it’s sweet time getting here. We were all itching to meet up and get these done sooner, but Mother Nature decided to grace us with a nice, long, and cold winter. Mark and Kristin were good sports about it all and the weekend they chose to travel to Connecticut for their photos could not have been better. Kristin had her heart set on a seaside setting, and what better place to go other than Mystic, Connecticut. We hit up the seaport first, and closed the place down (really, a security guard was following us, locking up every building we went into minutes after we were through). A little stop to a field after to show off their USA soccer pride, followed up by a quick walk downtown wrapped up the beautiful session. I saw quick because we all had one thing on our minds at that point…PIZZA! It would have be a sin if we left Mystic without stopping off for some beers and pizza from the famous Mystic Pizza. I am excited and looking forward to shooting their wedding, which is just over a week away now. It will be a good time for sure!